Give any one of your Google Id & Password to login in to the Page. Now at last click on the " Save changes " Button.That's it now u can get the alerts for 24 hours. 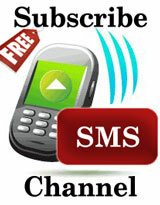 if your subscribed to any other sms channels then it would be better if u increase the " Maximum messages per day : 100 "